TRANSCEND MEDIA SERVICE » Is Hawai‘i an Occupied State? As the campaign for full independence gains momentum, a new view of Hawaiian history is taking hold. 16 Jan 2015 – Over the summer, the US Department of the Interior held a series of hearings inviting Native Hawaiians to comment on the formation of a federally recognized nation. The hearings confirmed what many Hawaiians already knew: opposing camps have formed in the debate over Hawaiian sovereignty. One side views federal recognition as a pragmatic alternative to the status quo. The other side, at first thought to be a marginal segment of the movement, seeks the full independence that Hawai‘i had in the nineteenth century. Surprisingly, after decades in which the federal recognition advocates represented the mainstream, the voices for full independence seized the spotlight. The overwhelming response at the hearings to the question of federal recognition was “a‘ole”: no. These numbers are misleading. The Roll Commission compiled a list of 125,000 ostensible supporters out of the roughly 500,000 Native Hawaiians living in the United States. But two-thirds of those names were from a 2004 list gathered with the less specific purpose of establishing a “Native Hawaiian governing body,” which is broad enough to mean different things to different people. Mainstream media coverage was misleading too. By focusing on the tone rather than the content of the comments at the hearings, commentators missed the real story, which was that a major shift in Hawaiian political will had occurred. In a community known for its divisiveness, the emergence of the independence movement as a viable force is quite stunning. Under the radar, a new view of Hawaiian history is taking hold. Unified in 1810 by King Kamehameha I, Hawai‘i was recognized internationally as an independent country in 1843. Fifty years later, the Kingdom of Hawai‘i had treaties with nearly all the sovereign states in existence, including five with the United States. In 1893, Queen Lili‘uokalani was overthrown by sugar businessmen backed by a company of US Marines. President Grover Cleveland called this unauthorized intervention an “act of war,” withdrew the proposed annexation treaty and agreed to reinstate Lili‘uokalani. A standoff between the president and Congress over the question of annexation prevented any action for five years. When William McKinley took office in 1897, he attempted to pass a second treaty but failed. A year later, he and the annexationists in Congress decided, in the words of Congressman Thomas Ball of Texas, “to do unlawfully that which can not be done lawfully.” In 1898 they annexed Hawai‘i via joint resolution. Nearly 100 years later, in 1993, Congress issued a formal apology to the Hawaiian people for the overthrow. But it is the subsequent annexation by resolution that lies at the heart of the current drama. Acceptance led to support for a semi-autonomous nation within a nation; non-acceptance spurred efforts to restore an independent government. The issue of recognition has been circulating for more than a decade. The so-called “Akaka Bill,” named after its sponsor, the Native Hawaiian Senator Daniel Akaka, languished in Congress for twelve years before expiring with Akaka’s retirement and the death of senior Senator Daniel Inouye in 2012. 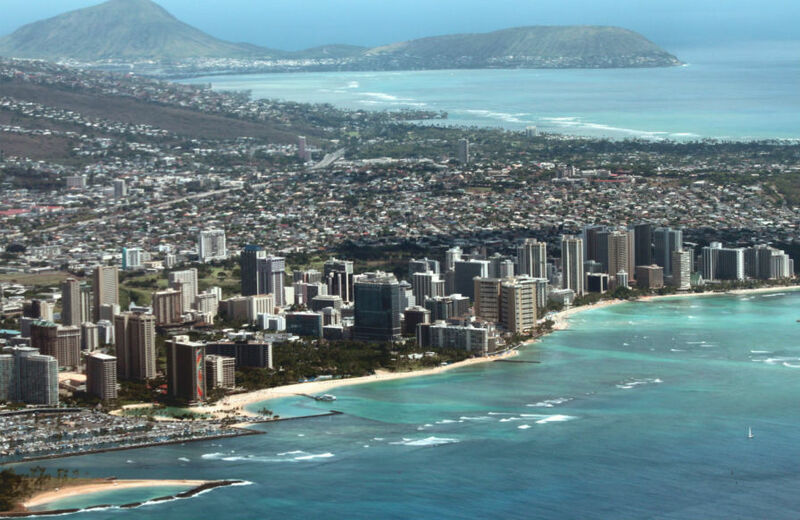 The Department of the Interior subsequently proposed a set of “rulemaking” changes that would allow Hawaiians to join the more than 500 native nations already in existence. Because of the controversy surrounding the hearings, an aha, or convention, on Hawaiian governance was pushed back to April 2015. The delay could allow tempers to cool a bit, but supporters do not want it postponed indefinitely. Deeper reflection on Hawai‘i’s widely misunderstood history may be the only route to reconciliation, and the best path toward restoring dignity to a people who have been denied it for far too long. ‘Umi Perkins teaches Hawaiian history at the Kamehameha Schools and political science in the University of Hawaiʻi system.